Meghan Markle often wears sustainably made clothing. Global fashion search platform Lyst recently released its Lyst Index for the last four months of 2018. The index ranks fashion's "hottest brands and products" based on an analysis of more than five million shoppers on Lyst's platform. According to Lyst's report, Veja's V10 sneakers were the third "hottest" product in women's fashion. Online searches for the brand also increased by 113% the day after Meghan Markle wore the V10 sneakers on October 21, 2018. According to Veja's website, the company makes environmentally-friendly sneakers out of "raw materials sourced from organic farming and ecological agriculture." In the past year alone, Meghan Markle has quickly become one of the world's most influential style icons. 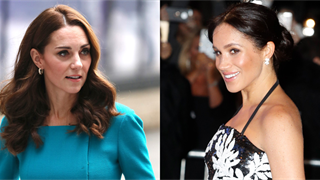 Time and time again, brands have seen their visibility and sales spike after the duchess wears something they made - a phenomenon commonly known as the "Meghan effect." 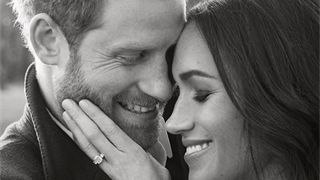 The recent surge in popularity of ethical sneaker brand Veja is the latest illustration of Markle's impact on fashion, according to a new report from global fashion search platform Lyst. The company recently released its Lyst Index for the last four months of 2018, which ranks fashion's "hottest brands and products" based on an analysis of more than five million shoppers on its platform. Lyst's formula also takes into account social-media mentions, page views, interactions, and sales across thousands of online retailers. According to Lyst's report, Veja's V10 sneakers were the third "hottest" product in women's fashion. While several celebrities rocked the sustainably made shoe in 2018, online searches for the brand increased by 113% the day after Markle wore the V10 sneakers on October 21, 2018. Markle paired Veja's V10 sneakers with a sporty windbreaker and black skinny jeans. 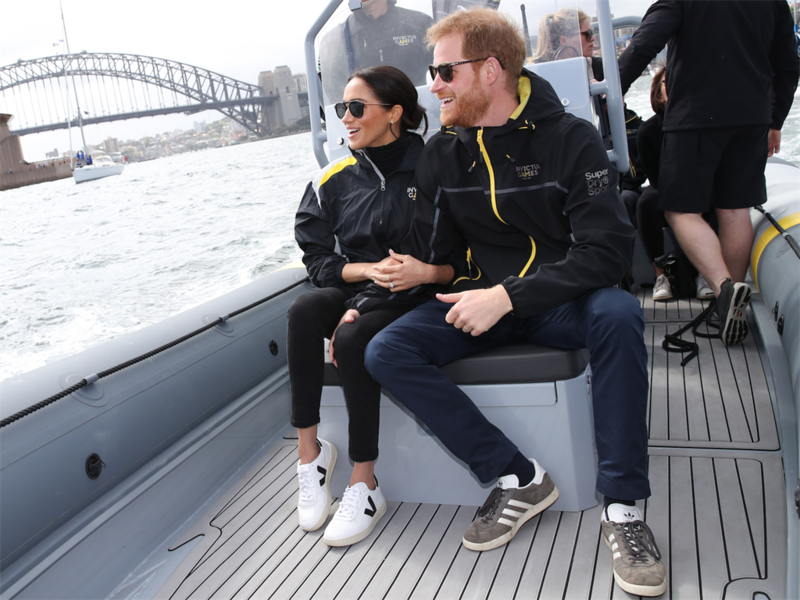 The duchess donned the sneakers while watching the 2018 Invictus Games sailing final in Sydney Harbour during the Australia leg of her and Prince Harry's autumn royal tour. After Markle wore the Veja shoes, the brand's Instagram also "broke down" with thousands of likes and comments, the company told Footwear News in October 2018. At the time, the company's Instagram posts received an average of 1,000 to 3,000 likes; a photo of Markle wearing its V10 sneakers got over 20,000, Footwear News reported. 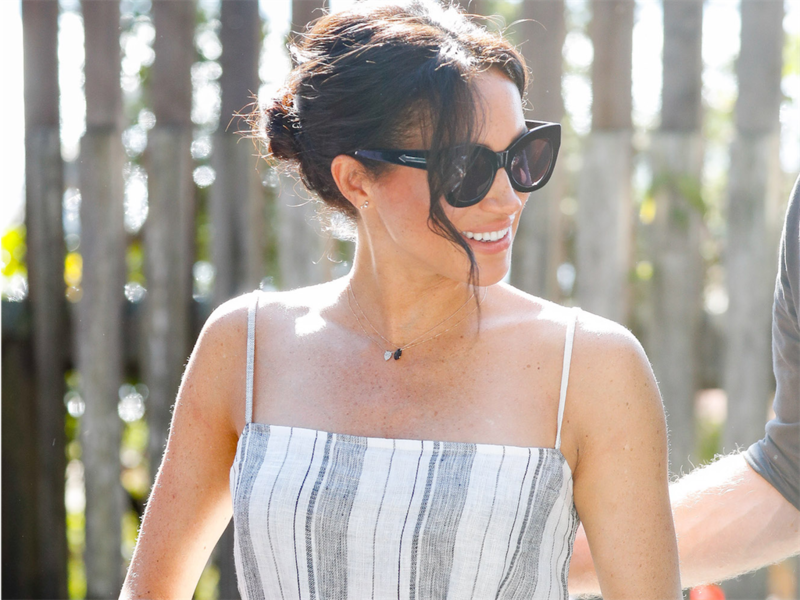 A longtime supporter of sustainable fashion, Markle also wore several other ethically-made items during her and Harry's autumn royal tour. Her eco-friendly wardrobe included a pair of Rothy's flats made of post-consumer recycled water bottles and a striped dress from Reformation, an eco-friendly clothing brand known for its sustainable practices. Markle wears Rothy's flats on October 16, 2018. Markle wears a striped Reformation dress on October 22, 2018. 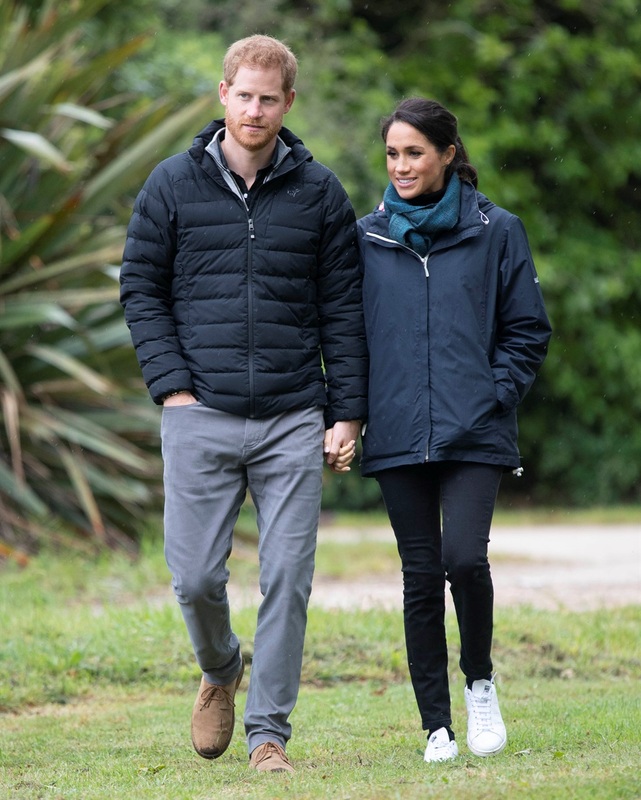 Markle also wore a pair of Adidas Stan Smith sneakers made of vegan leather, designed in collaboration with British designer Stella McCartney, during the New Zealand leg of the couple's royal tour. Markle wears vegan Adidas Stan Smith sneakers on October 29, 2018. 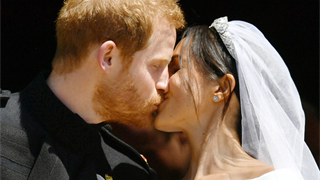 McCartney, who is known for promoting ethical and sustainable fashion practices, also designed Markle's modern wedding reception dress. Head to Lyst's website to see the company's complete Lyst Index for Q4 2018.